It’s 28 degrees outside and hazy. Beijing’s spring is the shortest season. Soon the sweltering heat will arrive. Blue skies have been fairly common and it’s always good to see the city suddenly green. I finished two books recently: John Updike’s Rabbit Redux and Evan Osnos’ Age Of Ambition: Chasing Fortune, Truth, and Faith in the New China. The latter is a nonfiction title that is the most comprehensive, evocative, and insightful book on contemporary China I have read. The author was China correspondent for the New Yorker. He is widely regarded as brilliant. His book is a page-turner, written with narrative drive, and telling the China story with great human stories. He had incredible access to some of China’s most notable and influential figures. And the story he has carved out; of rising fortune, middle class excess, and, later on, spiritual searching, manages to capture China with something approaching the greatness of a novel. Checking out the book’s Notes on Sources I was awed by Osnos’ depth of research and reading. This guy seemed to have read everything. Was he just reading and writing all the time? I put this question to a friend of mine, someone who has met Osnos, and who knew his Chinese assistant. My friend told me that the assistant told him that Osnos just wrote all the time, from morning to night. And it was such a basic realization: to be outstanding, you have to work extremely hard. It’s obvious of course. But we kid ourselves by imagining secret elixirs, fabled shortcuts, magic ingredients. It’s baloney. Only through work can accomplishment be achieved. I haven’t been working so hard. I’ve been having a great time. I’ve been socializing with friends, drinking and partying. We went to a music festival that was very enjoyable. I’ve been working out and tried out boxing and Muay Thai. This year so far has been a hoot. I’ve had very little journalistic published this year. Last week I finally finished an essay I spent two months laboring over. It’s 2000 words long. I sent it to the editor but he has not deemed to reply yet, not even to acknowledge that he’s received it. I know editors are busy people. But for a freelance it can be demoralizing and frustrating to hear such silence. All I can do is patiently wait. And hope. Next week I am going to Hong Kong to meet up with someone. It’ll be a vacation. Someone asked not long ago how can I afford to travel so much. I didn’t know quite how to respond. Truth is I don’t really know. I do not receive parental handouts. And the money I make is not by any means a great amount. In fact it’s only around a little more than double what my rent is. I think it may be psychological. It is true what many of those travel bloggers say, that travel actually is not as expensive as what people may imagine. And that as long as you account for accommodation and things like flight tickets travel is just like being home — you still have to eat and get around and the usual expenses but you’re just doing it somewhere else. I think that mindset is good to have. You always have to buy things to eat and in Asia that’s usually cheap. Hostels and even hotels can also be similar to what you pay for a monthly apartment. So travel is only restricted by time and busyness, your conceptual perception of how much time you have. For a freelance, who thinks in freelance ways, it comes easily. I don’t burden myself too much though, on the frugality, while traveling. Because, what’s the point? They are compact, well built, include an in-line remote and microphone, and offer outstanding sound quality. 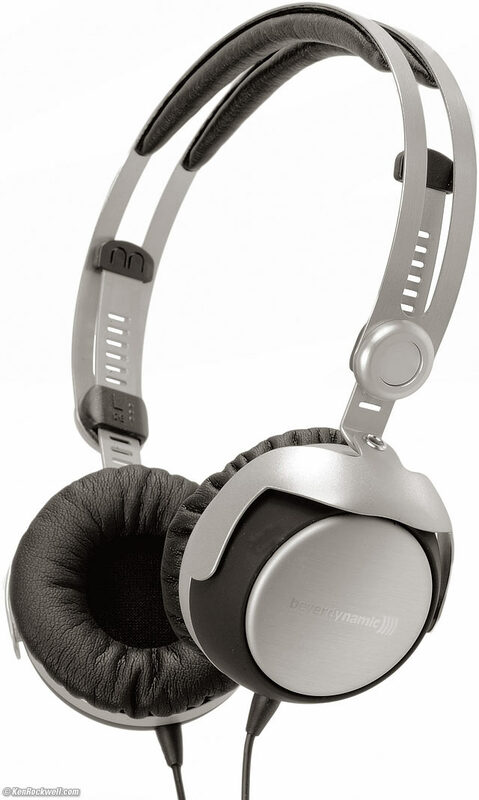 These Beyerdynamic headphones are highly rated (if you don’t believe me, check here, here and here), and are quite possibly the world’s best portable headphones. If there’s one piece of tech that’s worth spending more on it’s headphones. Unlike smartphones, cameras and laptops; good headphones made 20 years ago will still be good headphones today.